Blackjack Professional is a variant with multiple hands that allows you to play and win three hands simultaneously. This professionally designed game makes you feel like you are at a real casino. There are four decks of 52 cards placed on the table. You can find a box of betting chips as well. You can either place your bets on a single position or all three positions. There is a side bet game where you can win with jacks too. To make the game more exciting, there is a classic jazz music playing in the background. The betting limit of this Blackjack variant is between £1 and £40 that makes the game ideal for all types of players. 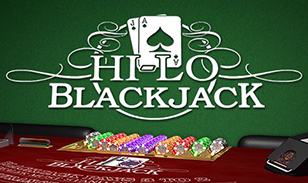 This amazing Blackjack game with a side bet game and multiple hands was created by NetEnt. A popular online casino games development company with over two decades of their existence in this industry. You can find various slots, table and jackpot games from this developer that is played online worldwide. In this Blackjack Professional game, you can play either with one or all three hands. The benefit of multiple hands is that you get to identify which one is a stronger hand. That helps you place your bets accordingly and make maximum profits. The aim of this game is to win against the dealer by beating his hand. To win, you need to score points closer to 21 before the dealer. You can then get a reward of 100% on your wagered amount on that hand. Similarly, you can win the other hands too. You must be careful not to exceed 21 as it will result in your loss. If the dealer exceeds this score, you get to win all the hands that you are playing. Added Features: There are options such as split, double and insurance that can help you make extra profits. The double can be used anytime before first drawing a card. The split is enabled when the first two cards have same face values. You can buy insurance only when the dealer’s first card is an ace. Double Jack: This is the name of the side bet in Blackjack Professional. Here, you can win when you get two jack of spades, a pair of jacks and when the first card is a jack. With side bet options and professional design, Blackjack Professional is a game where you can win easily with multi hand and additional features.